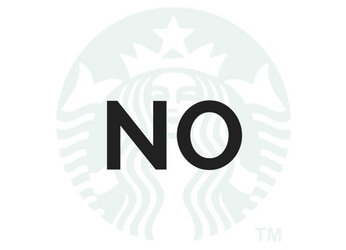 How Much Does Starbucks Pay? How Old to Work at Starbucks? Starbucks careers could have more to offer than you may think. You won’t just be an employee, you’ll be a partner, benefitting from all the opportunities that go along with that. Since the first Starbucks opened in 1971, the company’s focus has been on enjoying great coffee with friends and helping to make the world a little better. More than just a coffee shop, Starbucks positions themselves as a neighborhood gathering place, a part of the daily routine, and very proud to be both. From a single Seattle store to the current 22,000+ outlets, Starbucks has been, and continues to be, phenomenally successful. To keep up with this huge demand, Starbucks are currently recruiting across all levels and in a variety of locations. If you’re keen to work with Starbucks, you may be interested in these current vacancies, which include Barista, Shift Supervisor, Shift Manager, Inventory Representative, and Production Specialist. The Starbucks Recruitment Process starts with an online search, or a quick look in your local store to see what jobs are currently on offer there. To find current vacancies and apply for those which grab your interest, visit the Starbucks careers website, filter by job type and location and get applying. If you’re interested in working with an internationally renowned food and beverage business, where your benefits package is designed as your very own Special Blend, Starbucks careers could be for you. Starbucks are currently recruiting for Barista, Shift Supervisor, Inventory Representative, Production Specialist, and Quality Assurance Technician vacancies. A Barista represents the public face of Starbucks, and is responsible for ensuring every customer has an excellent experience when they visit a Starbucks outlet. Regular duties include taking customer orders, recommending current specials, serving food and beverages, and maintaining a clean working environment and all times. To be a great barista, you must have outstanding communication skills, a friendly, professional manner, and a genuine passion for customer service. No previous experience is necessary. A Starbucks Shift Supervisor assists the Store Manager by ensuring the store operates efficiently and effectively. Responsibilities will include providing excellent customer service, through picking up on cues and communicating in a friendly and professional manner, assisting with staff training, boosting employee morale, and embracing a customer comes first attitude at all times. Essential skills and experience include 1 year’s customer service experience in either a retail or restaurant environment, 6 months working directly with customers, 6 months delegating to employees, and ability to meet high standards. The Inventory Representative at Starbucks is responsible for performing receiving and distribution activities. These may include, but are not limited to, inventory counts and reconciliations, communicating discrepancies to managers, liaising with shipping and freight companies, and reviewing orders and work orders. You will also prepare purchase orders and monitor day to day operations relevant to the role. Essential skills for the role include 1 year’s inventory or manufacturing experience, shipping, receiving and tracking experience, and general office and administration skills. A Production Specialist is required to contribute to Starbucks’ success through operator training, production tracking, and process improvement. Typical responsibilities include development and administration of operator training, maintenance of tracking systems to minimize product loss and increase efficiency, monitoring any recurring production issues. You should be familiar with relevant regulations and guidelines. A strong candidate for the Production Specialist role will have at least 1 year’s manufacturing experience, technical writing skills, and strong data analysis skills. Starbucks Quality Assurance Technicians ensure that packaging, labelling and other aspects of the company’s products comply with relevant legislation. As a Quality Assurance Technician, you will be tasked with reviewing packaging – both in terms of art work and labelling information, researching updates to international regulations, manage technical documents, and resolve any issues which may arise. To apply for this position, you must have 1-3 years’ experience of working in a similar role, current knowledge of FDA regulations and guidelines, and the ability to handle and analyze large amounts of information and data. To keep Starbucks running efficiently and constantly growing, the company are currently recruiting for a number of manager-level roles, both in the stores and corporate offices. Store Managers oversee daily operations within their allocated store, driving financial success, building great teams, and fostering the concept of Starbucks as a neighborhood meeting area. To thrive in this role, you should be passionate about people, outstanding at customer service, and have at least 3 years retail or customer service management experience, or 4 years’ military experience. A Project Manager is responsible for ensuring the smooth operation of Starbucks Rewards, through both managing day to day operations and implementing innovative new strategies. Other duties include managing project teams, liaising with Starbucks Technology to agree trade-offs where required, and communicating with multi-functional teams. To apply, you should have 5 year’s project management experience, 3 years’ management experience and 3 years’ analysis. All current vacancies are advertised on Starbuck’s career site. How Much Does Starbucks Pay (Hourly & Salary)? Starbucks offer a decent rate of pay, in addition to various benefits depending on the position you apply for. Hourly rates at Starbucks start at around $9.30 for a barista, increasing to approximately $170,000 for a director. To let you compare with similar jobs, a McDonald’s crew member earns around $8.40 an hour, while a Walmart cashier is paid around $9.37. 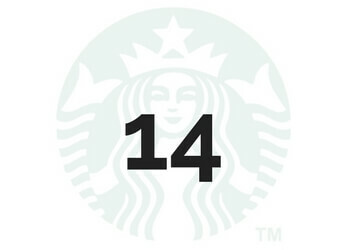 To work at Starbucks, you must be at least 14, except in Montana where the minimum age 14. Starbucks do not normally drug test. So, you’ve landed an interview at Starbucks? Congratulations! To help increase your chances of success, make sure you prepare for some of the most common interview questions, and dress appropriately for your interview. First off, familiarize yourself with Starbucks’ own interview tips. As Starbucks place so much importance on the customer experience and their identity as a neighborhood gathering place, the personality of employees is almost as importance as experience. Don’t overdo it and become obviously fake, but let the interviewer know how much of a team player you are, how you love talking to new people and your passion for making sure customers are always satisfied. Top tip: being a perfectionist is not a weakness, and all interviewers know it’s a stock answer. The key here is remaining calm and professional, and not becoming offended or irritated by the customer’s annoyance. A good answer will normally include mentions of listening carefully to what the customer has to say, making sure not to interrupt. You should also mention that you would try to empathize with the customer, while taking care not to talk Starbucks down. Escalating to a supervisor or manager can be acceptable, but stress that you would only do this where necessary. You should try to resolve a situation yourself wherever possible. What drink would you recommend? This is easy if you’re a Starbucks regular and have a definite favorite, but it may need a little research if you’re not a big coffee drinker. Talk about the flavors in the drink, how it makes you feel when you drink it and perhaps some happy memories you’ve got of having this drink. It’s a great opportunity to mention being in Starbucks with your friends and mentioning the comfortable, welcoming, community feel. Remember, there’ll be loads of seasonal specials coming and going regularly, so you’ll need to comfortable describing and recommending different varieties. Whatever level you’re applying for, Starbucks generally appreciate business attire at interviews. Although business casual can be acceptable at barista-level, those applying for senior or managerial positions should wear full business dress. All applicants are expected to be clean and neat, as you’d expect when the job may involve preparing and serving food and drink.